ArcView Group, which tracks the legal marijuana markets, recently estimated that legal U.S. pot sales could reach $6.7 billion in 2016. As the legal marijuana economy has grown, insurance coverage for this emerging industry has become a hot topic. The U.S. District Court for the District of Colorado in The Green Earth Wellness Center, LLC v. Atain Specialty Insurance Company, No. 13-cv-03452-MSK-NYW, 2016 WL 632357 (D. Colorado Feb. 17, 2016) was recently faced with determining the extent of coverage under a commercial property policy for damage sustained to marijuana plants at a growing facility and addressing whether legal marijuana was even insurable. Green Earth operates a retail medical marijuana business and an adjacent growing facility in Colorado Springs, Colorado. Green Earth contended that smoke and ash from a wildfire overwhelmed its ventilation system and intruded into its growing operation, causing damage to Green Earth’s marijuana plants. Green Earth made a claim for the damage under a commercial property and general liability insurance policy issued by Atain, seeking more than $200,000 for damage to its grow operation, specifically its “mother plants” and “clones,” and approximately $40,000 in damage to buds and flowers that had been harvested and were being prepared for sale. Atain denied the claim and Green Earth filed suit. 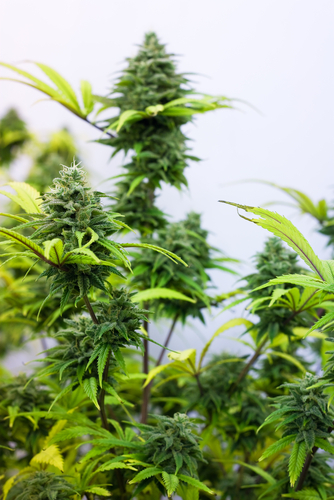 On summary judgment, Green Earth argued that its damaged growing marijuana plants (i.e., its mother plants and clones) were covered as “stock” under the terms of the policy. Atain argued that the claim was barred by the “growing crops” exclusion and the “contraband” exclusion, and that the policy was void on public policy grounds. The policy provided coverage for Green Earth’s “Business Personal Property located in or on the [covered] building[s],” including “Stock.” “Stock” was defined as “merchandise held in storage or for sale, raw materials and in-process or finished goods, including supplies used in their packing or shipping.” The parties agreed that the harvested buds and flowers qualified as “stock,” but disputed whether the damaged growing plants were covered as “stock.” The Court expressed that it had “some difficulty” with the notion that growing plants could be considered raw materials however , based primarily on a cursory internet search, it found that a colorable argument can be made that “raw materials” can sometimes include an agricultural producer’s growing plants, and that “stock” therefore could cover Green Earth’s mother plants and clones. The Court then turned to the policy’s “growing crops” exclusion, which operated to exclude coverage for “Land (including land on which the property is located), water, growing crops or lawns.” The Court held that mother plants and clones are growing crops excluded under the policy because they are plants tended for their agricultural yield, at least until they are harvested. The Court rejected Green Earth’s argument that “crops” by definition must grow in outdoor soil. The Court also considered extrinsic evidence during the policy negotiation which it found suggested that the parties consistently understood that growing plants would not be covered. With respect to the policy’s exclusion for “Contraband, or property in the course of illegal transportation or trade,” the Court found that the exclusion was “rendered ambiguous by the difference between the federal government’s de jure and de facto public policies regarding state-regulated medical marijuana,” and that extrinsic evidence strongly suggested that the parties mutually intended to include coverage for harvested plants constituting Green Earth’s inventory. The Court ordered that Green Earth’s breach of contract claim for the $40,000 in damage to its harvested marijuana buds and flowers must be tried. The Green Earth decision emphasizes the need for insurers writing risks in the developing legal marijuana industry to be as explicit as possible in their policies as to what is and what is not covered.